A T.V. 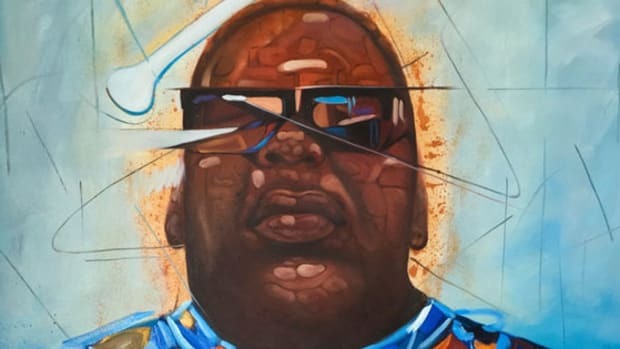 show inspired by Biggie's lyrics? Done wrong it's a disaster, but done right hip-hop might have a great new show. We’ve already seen Notorious B.I.G. immortalized on the big screen, and soon we might see his raps take new life in a scripted series on TBS. On Thursday, TBS announced the development ofThink B.I.G., a TV show based on the life and rhymes of the Brooklyn rap icon. According to a TBS press release, the show will “chronicle the misadventures of an inner-city teen desperately trying to create a better future for his daughter and infant son.” Sounds like a familiar story, no? Like many of you, I&apos;m sure, my immediate reaction to this news was disappointment; the show&apos;s premise comes across as corny and inauthentic. Could they possibly capture the authenticity of Biggie in a network TV setting? Surely people unfamiliar with the culture would likely handle the show&apos;s production, right? And would this be yet another attempt to pander to an ever-growing hip-hop demographic? 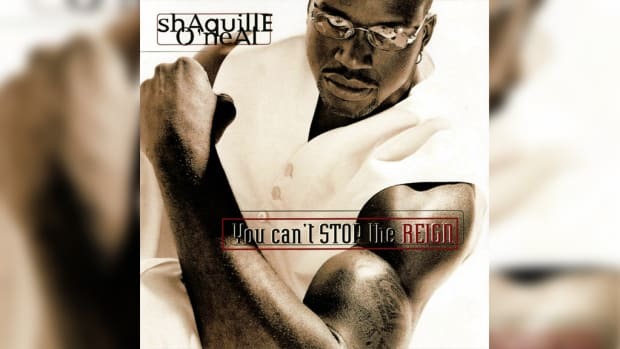 But there are two big reasons why Think B.I.G. 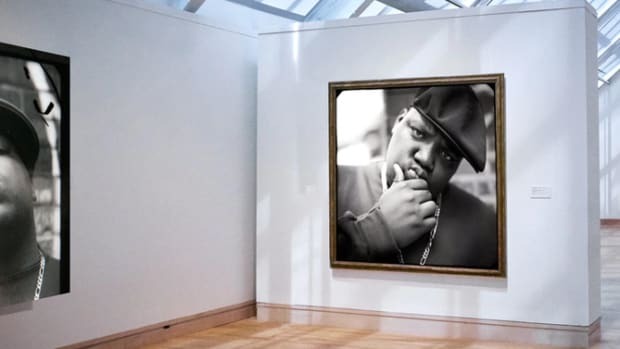 could actually work: Mass Appeal, and the versatility of Biggie Smalls’ music. 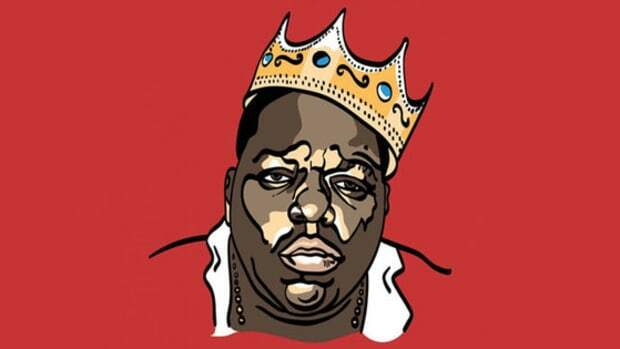 Think B.I.G. is a part of a larger deal that Mass Appeal has with TBS, and the digital content and media collective has a pretty strong track record when it comes to representing the culture in powerful, authentic ways. In 2015, Mass Appeal released Sacha Jenkins’ Fresh Dressed, a documentary about the history of hip-hop fashion that was accepted at the Sundance Film Festival. There is also the Nas-headed record label arm of the company, which boasts acts like Run The Jewels, Dave East and Boldy James, the longtime Mass Appeal magazine, and more. This deal with TBS will also include the digital animated series Storyville, a collaborative project with The Roots-founded Okayplayer that will feature "funny, absurd, weird, and sometimes just sheer joyful stories straight from the mouths of top celebrities." According to the presser, "Musicians, actors, comedians, writers and artists will tell true-life stories which will be animated in rich detail." TBS will be the broadcast partner for both shows, but they&apos;re Mass Appeal projects. It’s also worth noting the mainstream-readiness of Notorious B.I.G.’s music. While he was as street as they come, "Juicy" is one of the most universal rags-to-riches anthems in music history, and those are the type of stories that television and film love to tell. 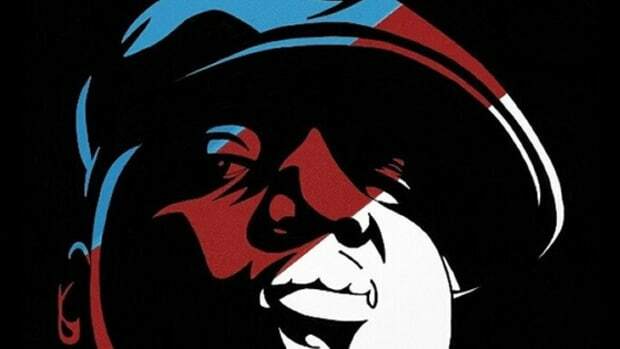 Also, Biggie&apos;s music is the perfect mix of vivid storytelling, drama, and comedy. Basing a show on his lyrics makes more sense than some, myself included, might initially believe. This sounds weird on the surface, but Think B.I.G. may actually work. 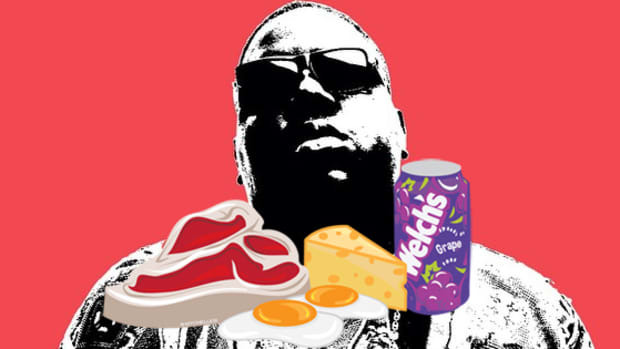 Confirmed: Biggie Was Rapping About Drinking Grape Juice on "Big Poppa"
For decades hip-hop heads have wondered if Biggie's "Welch's grape" was grape jelly? Soda? Juice? We finally have our answer. 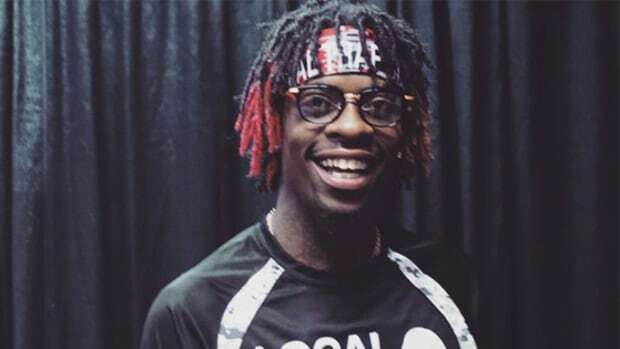 Rich Homie Quan says he didn't know Biggie's lyrics because he was was raised on Kilo Ali, T.I. and Outkast. “Biggie, Biggie, Biggie, can’t you see” that this verse is for the children? Classic Hate: The Internet Hates on Biggie's "Juicy"
We decided to highlight some of the most hate-filled comments on Biggie's classic "Juicy" single. 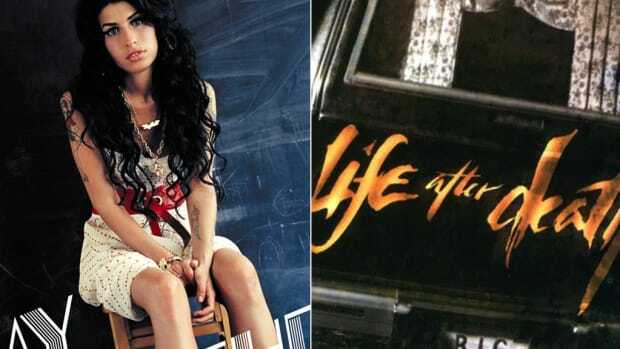 Whether it's one album or 12, every album is a gift, but death makes the gift a sacrament. We spoke with David McIntyre, the photographer who found his once-lost, pre-'Ready to Die' photos of Biggie. It's time to restore a classic to its original form in the name of free speech and hip-hop.